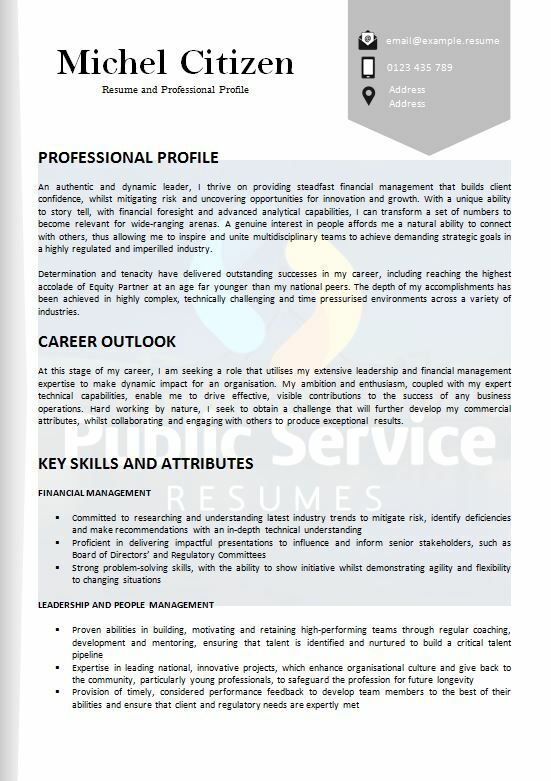 Public Service Resumes Government Executive Resume writing service will ensure you have the tools you need to realise your full potential. A senior position within the Government demands great responsibility, so an Executive Resume must demonstrate that you have the gumption to deliver the skills and knowledge required to carry out the requirements of the role. Are you an IT professional, Project Manager, Executive Assistant, Manager, HR Executive, Programmer, Contract or Project Manager? If so, these careers and many more are available at the Executive level within the Australian Government, State Government or local Council and can provide you with the opportunity to be part of developing, supporting and implementing policies and programmes that shape the nation. It is worth noting however, that you will not have a chance of succeeding without a Resume that gets you noticed. Executive Resumes need to be clear and focused. Think about which skills and attributes the interview panel would value the most, and then tailor the details you include to demonstrate that you are uniquely qualified to meet those needs. The information should be thorough and use a professional tone and be displayed in a layout that is eye-catching but easy to read. It is important to emphasise the transferable skills that you possess, in addition to all of your major contributions and achievements, so that your prospective employer will be confident that they will get the results that you have previously achieved in their department as well. 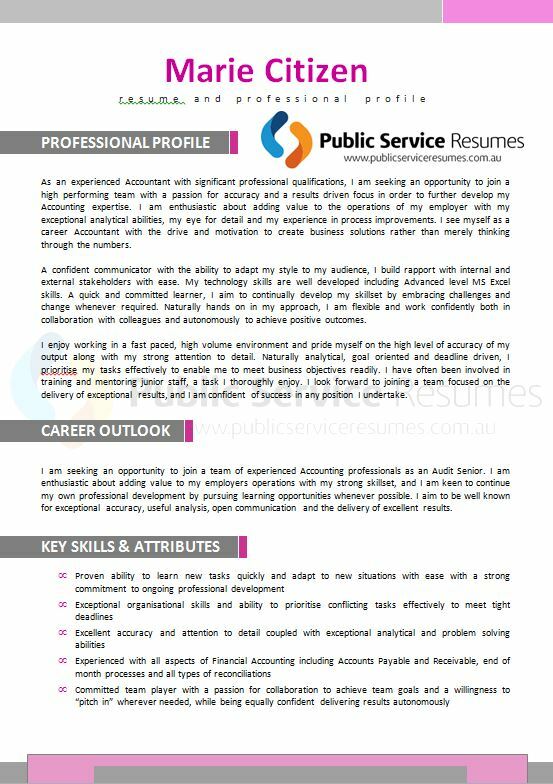 To ensure that your Resume makes a high impact and leaves no question about your ability to fulfil the role, contact the team at Public Service Resumes. 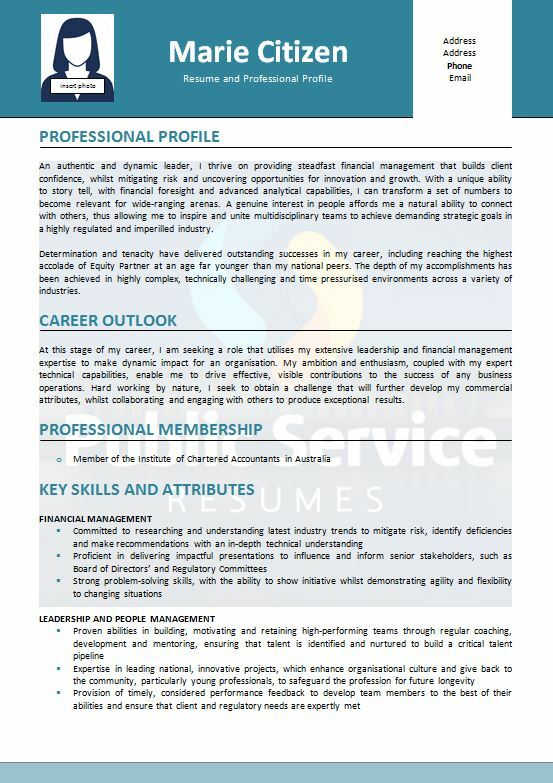 An Executive Resume needs to be of the highest calibre – it is the first impression that your prospective employer will get of your experience and your impeccable skills. 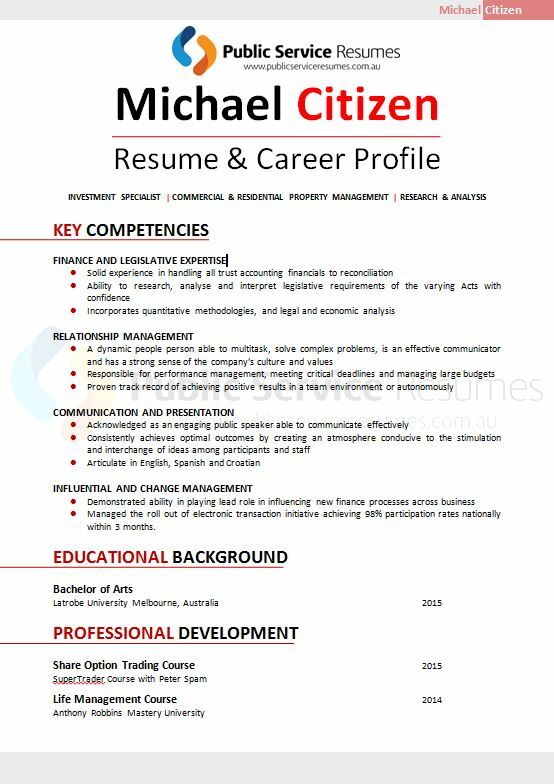 With our expertise and knowledge of senior level Government positions, you can be sure that our professional Resume writers will create a Resume for you that sets you apart from the crowd.